Modafinil drug overdose: Know about it to avoid it. Smart drugs or Nootropics are cognitive enhancers that are responsible for enhanced brain functions that include memory, decision making ability and reasoning. The word nootropic was coined in 1972 by a Romanian psychologist and chemist, Corneliu E. Giurgea. Most of these drugs are very efficient in enhancing the cognitive functions and for promoting wakefulness. Of these smart drugs, Modafinil is a very popular one. Modafinil works by stimulating the “waking up” nerve centers of the brain. It inhibits the re-uptake of Dopamine in the nerves. With time as Dopamine is constantly being accumulated, more and more Dopamine is available to the body for use. This chemical induces the need to wake up in the body and assists in speeding up the wake up cycle in the body. Also known for elevating the mood, the level of chemicals like Histamine, Norepinephrine and Serotonin increases, thus making the cognitive skills of the person heightened. Let us now find out about what drug overdose is and how it affects the body and mind. 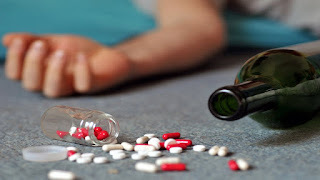 In simple terms, drug overdose is the ingestion or consumption of drugs (smart drugs, in this case) in quantities greater than the prescribed amount. Drug overdose can lead to a toxic state or death. Hence it is highly recommended that the drugs should be taken under proper supervision and under proper medical guidance. Reasons for drug overdose maybe accidental or intentional. Sometimes a person may take the wrong combination of drugs or the wrong dosage of drugs and this can lead to an accidental overdose of drugs. However at times, intentionaloverdose of drugs can occur to inflict self harm or to get “high”. The risk is increased when the body is not used to taking a certain type of drug, or when the smart drugs are mixed up. What to do in case of a Modafinil drug overdose? If the person is unconscious but breathing, place them on their side in the recovery position. Make sure that the airway remains open by tilting the head back and lifting the chin. Check breathing and monitor their condition until help arrives. Do not try to make the person vomit. Do not give them anything to eat or drink. Bring the pill containers to hospital. Always read medication labels carefully and take prescription medications only as directed. Keep all medications in their original packaging. Avoid drugs of any kind unless advised by a doctor. Always inform your doctor or other health professional of a previous overdose. Do not stockpile unnecessary drugs. Keep all drugs locked away in a safe secure place and out of reach of children. Be cautious when taking different drugs or substances (including alcohol) at or around the same time as they can interact negatively and increase the risk of overdose. 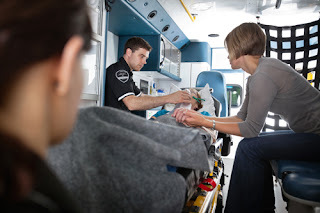 Drug overdose can happen at the most unexpected of times. It is better to be prepared than be sorry. Modafinil is a drug that enhances our cognitive reasoning but can also drastically harm us if not consumed with proper instructions. Thus it is advised to take the pill under the prescribed doses with proper supervision and medical guidance. Modafinil is a boon to the society, let’s not make it a curse for humanity by misusing it.